The main aim of the project is to strengthen the services of the Provincial Department of Social Welfare through a comprehensive training program primarily targeting the Probation Officers (PO) and Child Rights Promotion Officers (CRPO), but also managers of children’s homes, divisional secretariat officials and grass root workers currently involved in the children’s future. 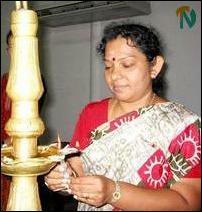 The UNICEF's Trincomalee zonal head, Ms. Gabriela Elroy, delivering the keynote address at the inaugural event. The focus of the training is on improving the knowledge and skills of the POs and CRPOs, sources said. The first three-day training program for POs and CRPOs under this project was inaugurated in Trincomalee Monday morning at the provincial guesthouse located at Uppuveli, and participants were POs and CRPOs from Jaffna district, sources said. The UNICEF’s Trincomalee zonal head, Ms Gabriela Elroy, lit the traditional oil lamp and was followed by the Provincial Governor’s Secretary, Mr.S. Amirthalingam, the Provincial Director of Social Welfare and Probation and Childcare, Ms. N.R.Ranjini, and VSO consultant Ms. Helena Postma and others, sources said. 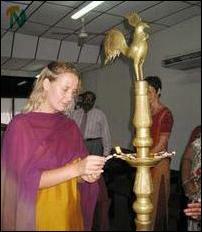 VSO consultant Ms. Helena Postma lighting the traditional oil lamp at the inaugural event of the training program. “Children are born to live with their parents and families. However, unfortunately for many children reality looks different and the fact is that we have thousands of children living in institutions away from their parents and families, and this is mainly due to the fact that the child has lost his or her parents or the parents feel that they cannot take care of the child,” said Ms. Elroy at the inaugural event. Although most parents and families place children in situations in good faith, believing this is the best option, the truth is that the care in many of these homes is not adequate, said Ms. Elroy. The training programme has been launched with three main objectives and the first objective-- to improve the care of children living in these institutions--could be achieved through a thorough training programme to enhance the child care skills for all POs and CRPOs and home managers. The second objective-- to reduce the number of children being sent to children’s homes--will be addressed by community based alternatives and raising awareness on the fact that a child has a wide community network even in cases while the child has lost the parents, she said. 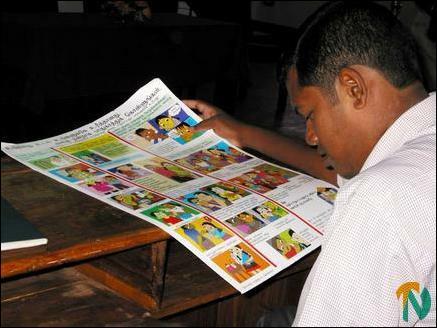 “ We should also remember that many children currently living in homes in Sri Lanka actually have one parent alive. We need to find ways to support these families to keep their children. Institutionalization should be the last option, not the first,” stressed Ms. Elroy. Ms. N.R.Ranjini said that opening of children’s homes in the province is on the increase even after the signing of the ceasefire agreement and she considered this not a healthy sign. Several such homes are not registered with the department of social welfare. Children could be given education, proper care and food in children’s homes, but no solution could be provided to these children to overcome their psychological problems, she said. Provincial Governor’s Secretary Mr.Amirthalingam and Director of Provincial Management and Training Department Mr.S.Kirushnanantham also spoke. Headquarters Probation Officer Mr.S. Ravichandran made the welcome address. The VSO has been responsible for the overall training of the POs and CRPOs, sources said.